Derik and I always knew we were to eventually make it back to the United States, and after 3.5 years of making our home in foreign countries, and a six month full-time travel stint through Asia and Europe, we thought it was high time to enjoy a more familiar side of the world. 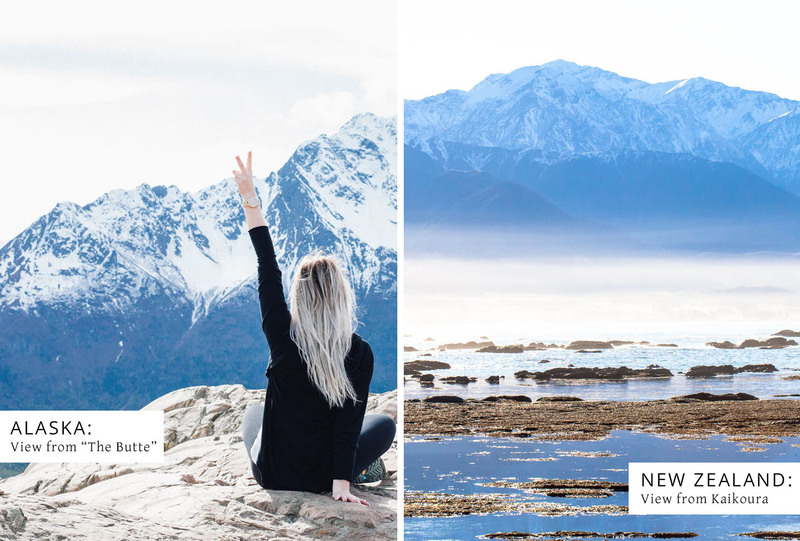 The problem was, we couldn’t put a finger on where exactly we wanted to go, because nothing really screamed “New Zealand” the way we wanted it to. You read that right, New Zealand. After traveling for 6 months and visiting multiple countries, we began to realize how homesick we were for the place we just left. I’m not sure how NZ captured our hearts the way it did (actually, who am I kidding, of course I know how it happened…if you’ve ever lived or visited New Zealand for an extended period of time, I’m sure you understand), but we weren’t able to shake it, and I don’t think we ever will. I’m 100% sure every place we call “home” from now on will be held up to the New Zealand standard. Back to the story: We were looking for a place to live for at least 3-6 months as we recovered unpacked our suitcases for the first time from a half a year of full-time travel. Nothing was really meeting our standards for a place to live until Alaska came into the picture. I’m not sure why it took us so long for us to consider it; I had lived there for several years as a child and loved it. We were free to go wherever we wanted in the United States, so why not give “The Last Frontier” a try? It met all our criteria for things we wanted in a home-base: outdoor adventuring, job opportunities, great place to keep practicing photography, and the ability to visit family and friends! 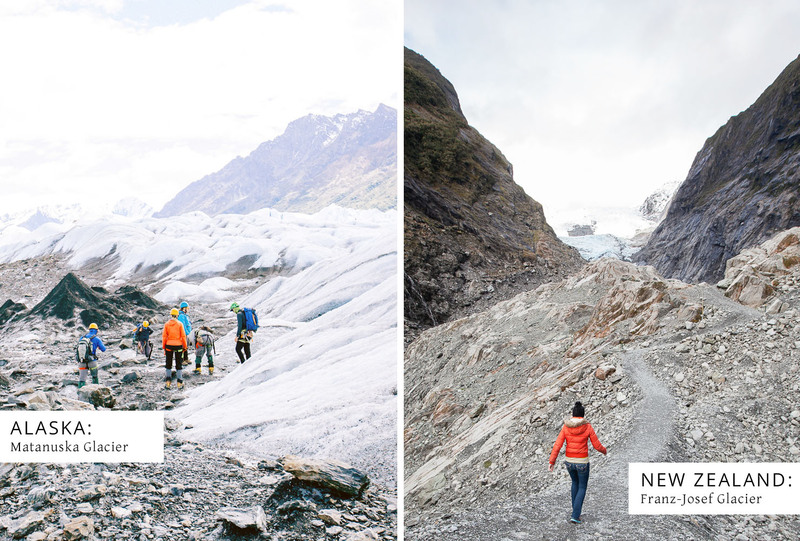 What we weren’t prepared for was how much we fell in love with Alaska, and how much it brought back great memories of our time in New Zealand. Upon further reflection and conversation over cups of coffee pints of beer, Derik and I have come to realize these places, in opposite hemispheres, actually have a ton in common. I’ve mentioned this before, but there are more sheep that live in New Zealand than people (30 million sheep / 4 million people), but Alaska wins when it comes to low population. There are approximately 750,000 people that live in Alaska, and if it helps, that’s equivalent to the entire city of Seattle moving up to the biggest state (by far) in the US. To break it down even further, there is one person per two square miles in Alaska, whereas in New Zealand, there are 41 people per square mile. Why is that a plus for us? After living in South Korea (population density of 1,261 people per square mile), we wanted to get out of the masses. Ever since we left Asia, I have crowd anxiety: I won’t even go into a store if it looks like it’s half full of people. Ridiculous I know. Or maybe it’s that I actually appreciate having my own ‘bubble’ again. Derik and I enjoy driving without rush hour traffic, not living in an apartment where I could literally reach out my window and touch our neighboring apartment building, and not shopping in a grocery store where people act like every day is the day before Thanksgiving. If there’s one thing I know for sure this side of eternity, it’s that heaven will most definitely smell like fresh mountain air after a rainstorm. 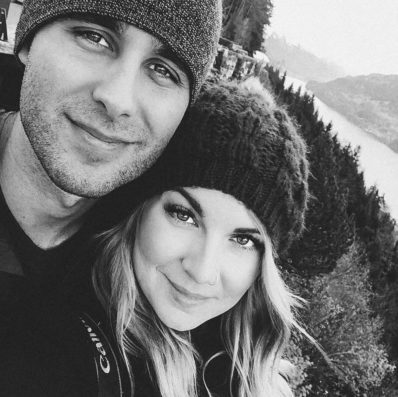 Derik and I enjoyed living on the outskirts of town in both New Zealand and Alaska, and going for walks was almost mandatory every single day because the air made us feel so alive, refreshed, and ready for what the day brought. If you follow me on Instagram, you know I have an obsession for the Aurora. I was able to catch it a few times in New Zealand, and knew that living in Alaska during the winter, a person would have to pretty much be blind not to see it at least once or twice during the season. Luckily for us, it was almost a bi-weekly thing for a while. The aurora is magical…there really aren’t any other words to describe it. 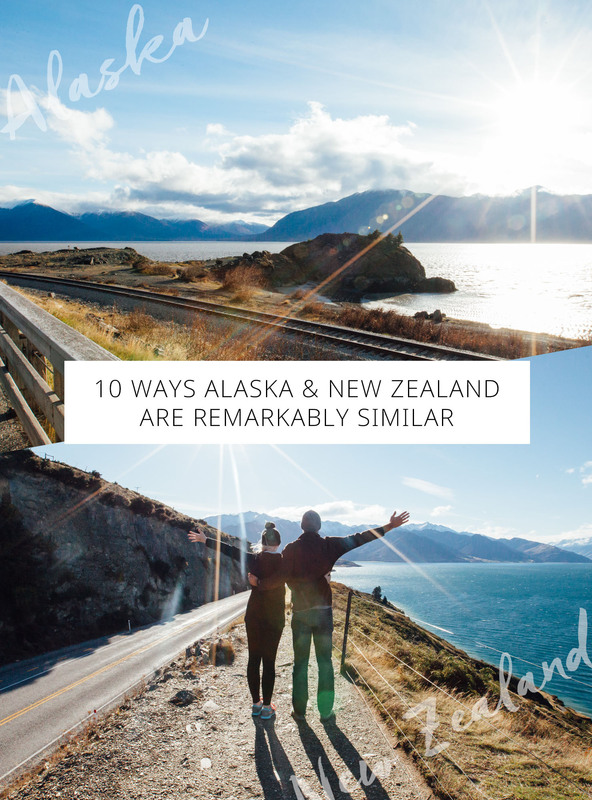 I have a feeling this must have to do with the low population, but people are friendlier in both Alaska and New Zealand. Sure, you can’t beat the candor of a Kiwi, but Alaskans are genuinely helpful, great storytellers, and enjoy being neighborly! I love being able to strike up a conversation with a complete stranger without the look of, “Why are you talking to me/what do you want?” plastered all over their face. When you live in a place as magnificent as Alaska or New Zealand, odds are most people live to be outside. Sure they still enjoy the modern conveniences of Facebook, Netflix, and Playstation, but both populations would rather spend time hiking, fishing, picking berries, drinking beer, and genuinely enjoy each other’s company than sitting inside on the couch browsing the internet. Well, that’s what I told myself anyway when my internet bill in both locations played to the tune of $75-$100 a month for limited internet. We were initially given 25GB in NZ (upgraded to their ‘unlimited’ plan, but that made our internet speed slower than a turtle…couldn’t stream a thing) and 75GB in Alaska. Since I worked online and we used our internet for late night hulu/netflix sessions (3GB per movie), we had to watch our streaming time (aka no movie marathons). It’s 2016…how is capped internet even still a thing? Thank goodness Alaska still has Blockbuster. When I wrote my post on “Living Expenses in New Zealand,” I wasn’t aware at the time that Alaska’s living costs were going to be so similar. We paid $1,200 four our little beach cottage in New Zealand, and in Alaska we paid $1,300 for a two bedroom apartment 45 minutes outside of Anchorage. Food-wise, something you have to consider is that in both locations, food is imported. Sure Alaska is right up the way from the lower 48, but for some reason that doesn’t phase stores from raising the price of one avocado up a few dollars. In both New Zealand and Alaska, Derik and I spent approx. $120-150 on groceries per week — not including alcohol. 7. 90% of all tourist activities are outside. We. loved. this. If you “Trip-advisor” top things to do in Alaska or New Zealand, you’ll be surprised to find that the vast majority of activities are outside. Well, duh. 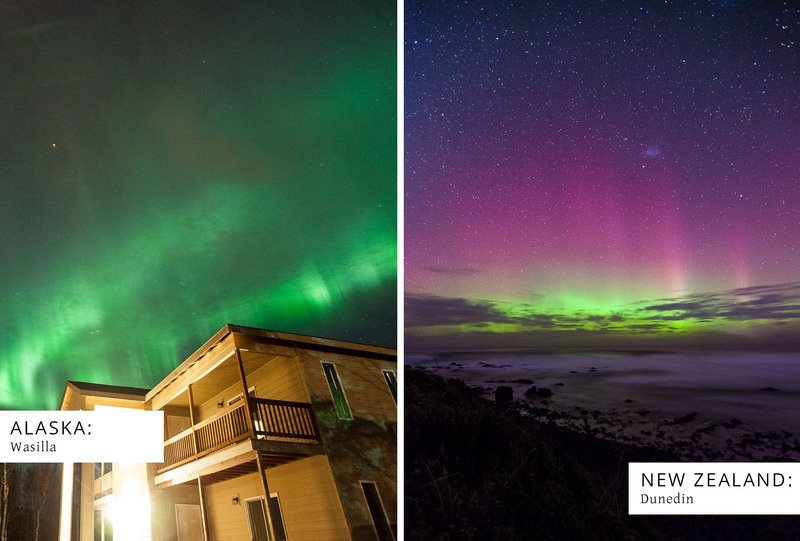 With locations as stunning as these, why would you want to spend your time cooped up inside? The problem lies when it’s raining outside: then it’s off to coffee shops, breweries, and native museums. 8. 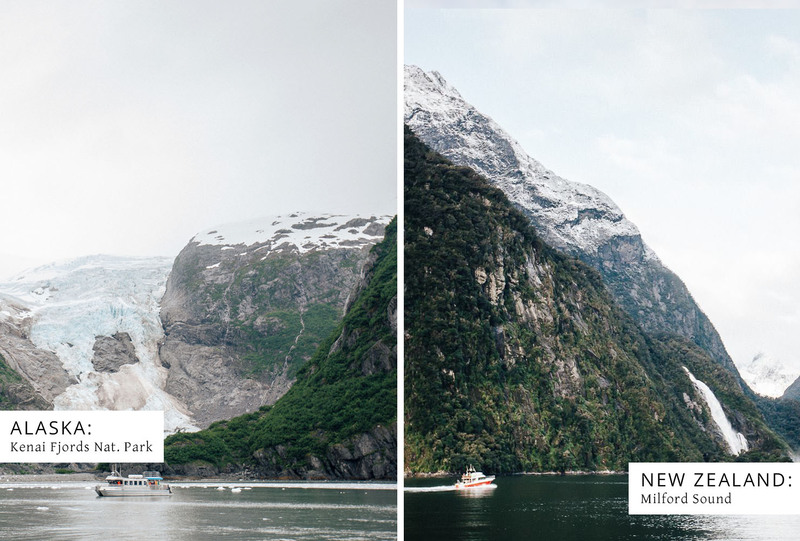 Mountains, ocean, glacier-fed rivers and lakes… oh my! One of the biggest requirements Deirk and I have with possible living locations is that they have to be reasonably close to mountains and the ocean. I don’t care if the beaches are tropical, as long as I can enjoy the waves crashing against the shore and the salty fishy scent of the ocean, I’m happy. As far as mountains go, I find them the most majestic landscape of all, and I will never, ever, ever get sick and tired of gazing at mountain ranges. I think Derik got a kick out of me exclaiming, “Oh my goodness, look how beautiful the mountains look today!” as we drove the same highway every single day in Alaska. I can’t help it. Mountains are my magic. Also can we take a moment to reminisce glacier-fed lakes and rivers? That color though. Did you know that New Zealand went through its own gold rush? Probably didn’t did you? That’s okay, I had no idea until we lived there and happened upon a winery that sat right on top of an old historical gold mining camp. We learned even more about it on our trip with Haka Tours when we made a surprise pit stop at one of New Zealand’s biggest mines in Waihi, North Island. As far as Alaska goes, we all know about its abundance of gold throughout history. Derik and I lived 25 minutes from one of the most popular abandoned gold mines in the area: Hatcher Pass – Independence Mine. I loved visiting in both Summer and Winter, as this mining camp is located up at the top of a mountain pass. Absolutely gorgeous. 10. New Zealand and Alaska get under your skin. I can confidently say if you visit either of these locations once, you. will. be. changed. The sheer grandeur of the landscape, the unspoiled abundant wildlife/nature, the amazing people and the simplicity of life will leave you in awe and wanting more.